Hello! Welcome to the Demeter Fertility blog. We’re the new Admin staff here. Demeter Fertility was founded in Sydney a few years ago, however we started only a month ago and have spent the last 4 weeks reinventing the way Demeter runs it’s customer service side of things. We’re so excited to meet you and go forward in a journey that we, and everyone at Demeter, are so passionate about. In this blog you will find pieces, thoughts and messages from the doctors Jessup and Knight, nurses Jill and Rochelle as well as our scientists and admin staff. We are all so looking forward to sharing our personal interests, journeys and knowledge with you all! 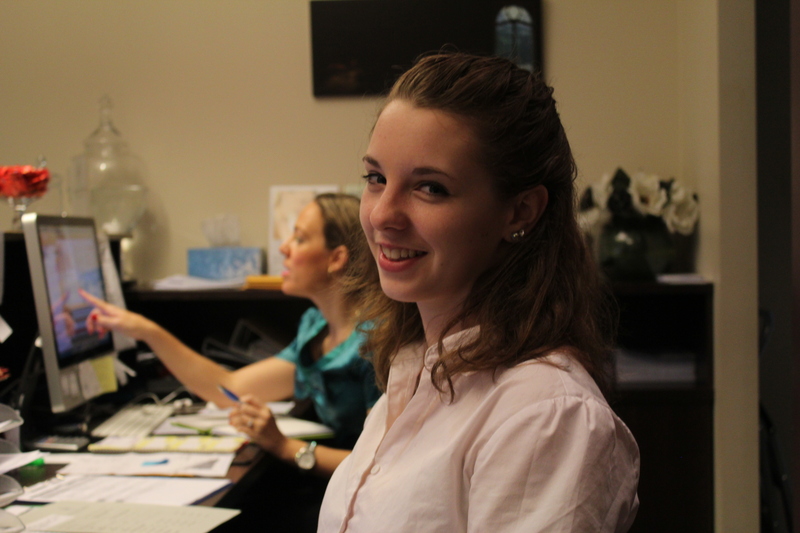 My name is Janie, I work behind the desk at Demeter as well as help run the advertising and social media campaigns here. I have a terrible secret to tell you and I can only hide it for so long, until you enter out practice. I am Dr. Knight’s daughter! I have my undergraduate degree in film editing and sound engineering and a Masters in Media Practice. I turned down a number of job opportunities to work with my father and the other staff at Demeter to help grow this amazing practice and provide great care for our hopeful new mothers. My names Maxwell, and while you may not pick it, I am from central Queensland. I have recently moved down to the big smoke and I now help run the front desk of Dr. Jessup’s and Dr. Knight’s amazing practice! Please don’t hesitate to drop me a line if you need any help. I take great pleasure in ensuring that the doctor’s patients are happy, de-stressed (which I cannot stress enough) and always smiling. I am studying education which I have put on hold recently to work in a fuller capacity with Dr. Knight and Dr. Jessup because their company and their experience is so valuable. Next time you’re in please don’t hesitate to say hi and introduce yourself. Welcome to Demeter, we hope to see you soon. Janie and Max Front Desk, Admin, Social Media, Problem solvers!